The two first items are both old Avon Body Cream bottles that my grandmother gave me. They actually still have the cream in them. They are pretty old. Not sure the age. Would love to have more info. 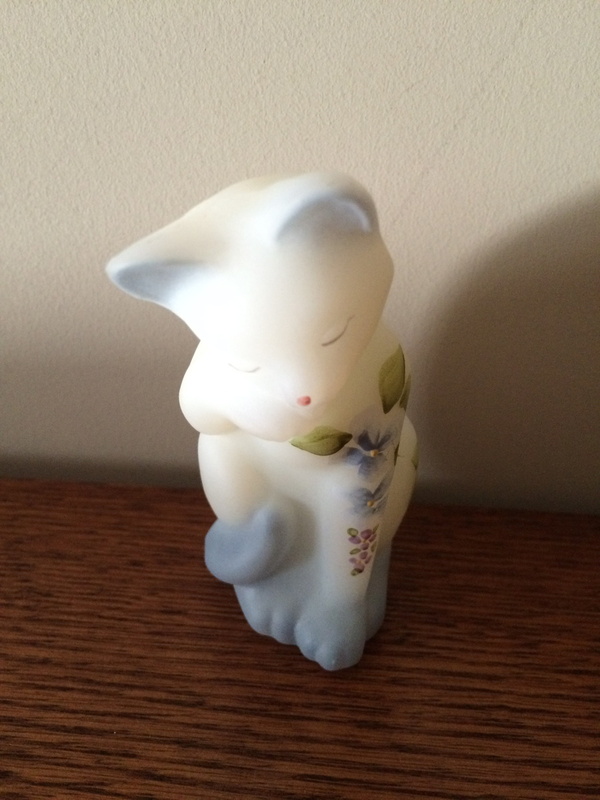 The next picture is of a Fenton Kitten that I got for myself around 2005 or 2006 for Christmas. It is really very pretty and nice and heavy. 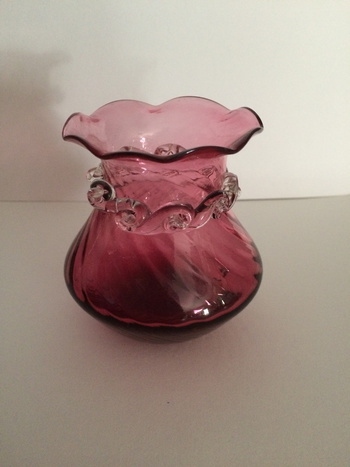 The pink glass mini vase in the next picture I inherited from my husband's grandmother. She was German and that is all that I know. It stands about 4 or 5 inches tall. My mother found the blue candy dish or ash tray at a yard sale. No info on it but I think it is just beautiful. 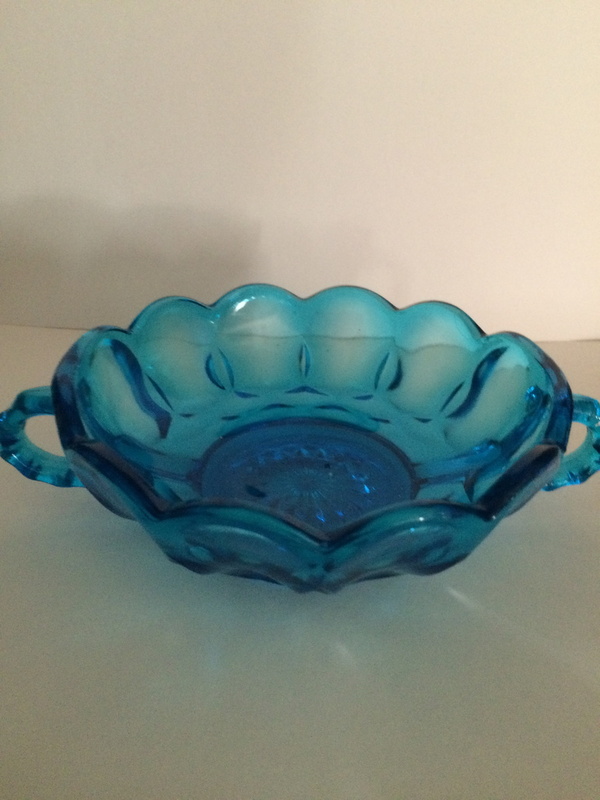 The blue dish is anchor hocking :) love your items! Love the kitty in the first picture. The purple vase with the necklace is wonderful, and I love the blue dish. 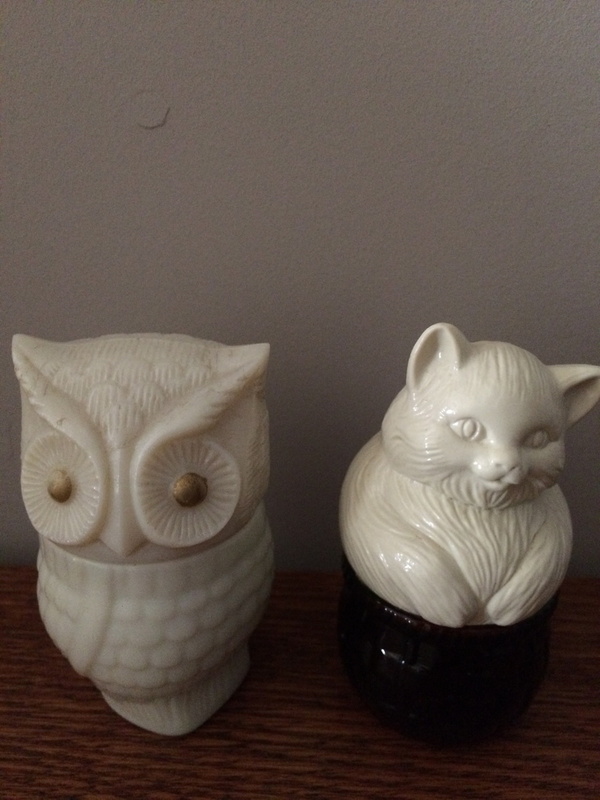 The Avon milk glass owl is from 1972. The cat is from the same era. As to the owl, it was produced between 1972 - 74, Precious Owl, used with several fragrances.